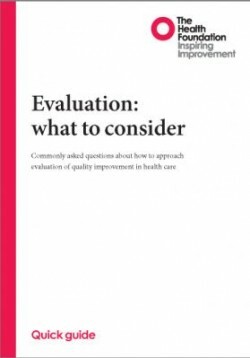 It is often tempting to launch straight into an evaluation without taking the time to plan first. Planning is a crucial part of the process. The BNSSG Research and Evidence Team Checklist has been designed to help with the process of planning your evaluation. It will enable you to become clear about what you intend to do, what data you need to collect and how you will undertake the analysis. Visit our frequently asked questions page for more useful advice. There are limitations in every study design – the key is to knowing what they are and being transparent about them.